This shrimp dish is much loved by many people around the world. I love shrimp recipes to the core. Pepper shrimp fry is one of my family's favorite seafood recipes. Whenever my hubby brings fresh shrimps, i often go for the same recipe of shrimp fry even without a second thought. But this time, i made lots of varieties with this seafood. And here is one among those recipes. Lets move on to the recipe..here shallow fried prawns / shrimps are again stir fried in the hot fiery sauce or condiment along with belacan (Malaysian shrimp paste ) which tastes best when served with hot steamed rice. 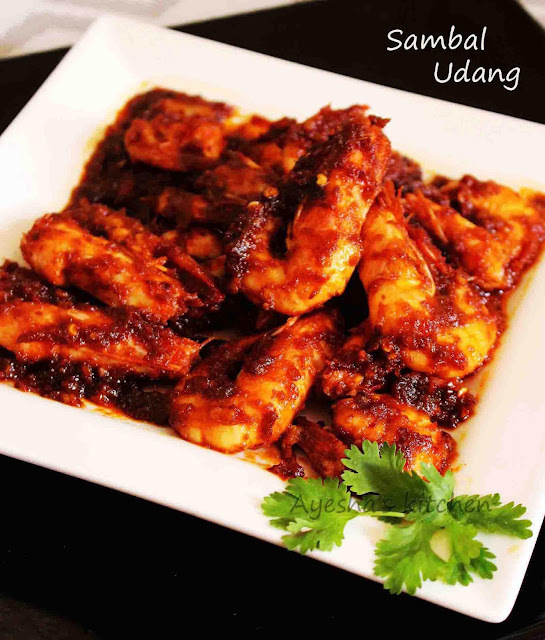 There are many variations in Sambal and this sambal udang recipe. Fish sauce and shrimp paste is added as per our taste and preference. Though belacan is the soul of this dish, i prefer not using this paste here in this recipe as some are allergic to dried fish like me. Still this dish taste equally tantalizing . A super delicious shrimp recipe which can be prepared even though you have a busy schedule. All u need is sambal , the hot fiery sauce to spice up this dish. 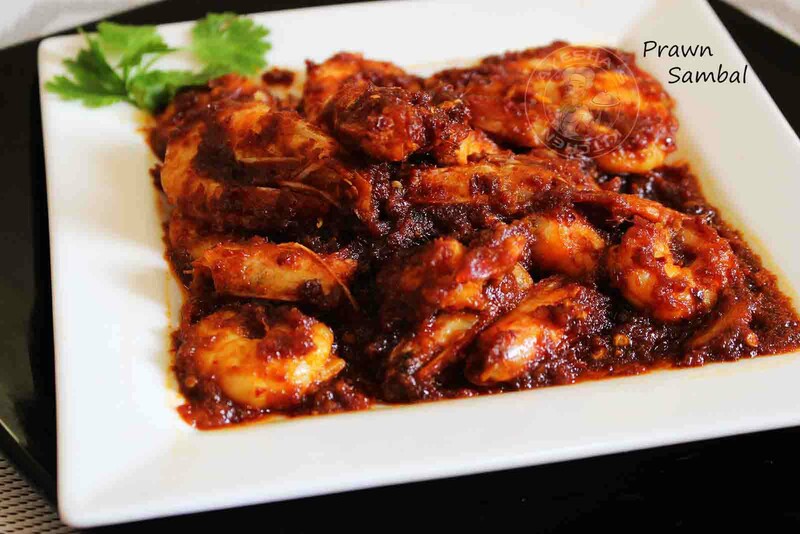 This sauce can be prepared ahead of time and can be refrigerated for this instant prawn dish. Wash, peel and scissor half the head of the prawns. Lets use head of the prawns in this recipe as they give a rich flavor to the dish. You can make this dish with unpeeled prawns but it is quite difficult to eat when compared to peeled prawns. Then marinate the cleaned prawns with chili powder (optional), lemon juice and salt. Heat a pan with less oil and shallow fry it for 2 to 3 minutes. Transfer it to a plate. Now in the same oil, add the prepared Sambal ((click here for recipe) Saute for a while and then add the tamarind pulp. Mix well and add tomato sauce (can add fish sauce or belacan instead) . Saute for a while and then add the shallow fried prawns to it. Combine well. Season with sugar and salt and let it cook over a medium low flame for few minutes or until you get a required consistency. When done, serve hot with steamed rice. Yummy.